Global Finishing Solutions® (GFS) is dedicated to providing the most efficient, high-quality and ecologically friendly spray booths and finishing environments for the aerospace, automotive refinish and industrial finishing industries, among others. Headquartered in Osseo, Wisconsin, GFS has an extensive history of providing businesses with exceptional finishing equipment and services that allow them to achieve flawless finishes and maximize productivity. 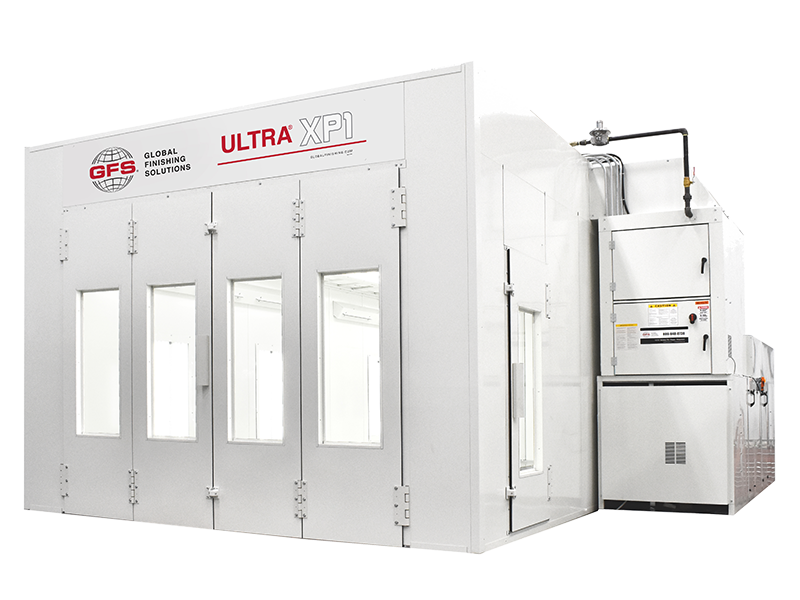 From small bench booths for painting parts to large aircraft booths, GFS Spray Booths provide a safe, clean, code-compliant environment for achieving high-quality paint finishes, reducing rework and improving efficiency. 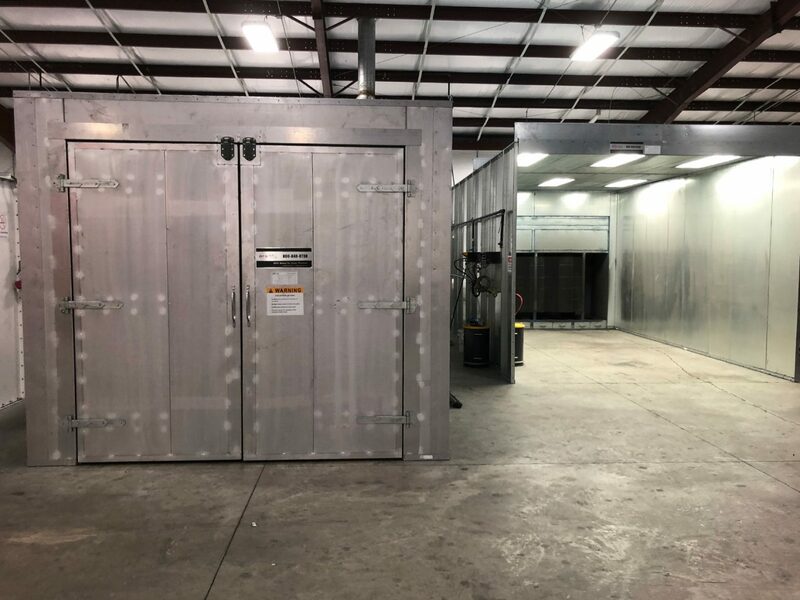 Prep booths from Global Finishing Solutions provide a safe, controlled, efficient space for performing paint prep work — such as sanding, stripping, masking and priming — on vehicles, parts and other products. Designed to help body shops be more productive, efficient and profitable, GFS AdvanceCure® and REVO Systems can be incorporated into your paint booth, prep environment or other shop processes to significantly reduce curing times. Industrial Ovens from GFS provide a high-performance environment for liquid paint drying, curing and baking, powder curing, preheating and paint burn-off, among other applications. Batch and continuous ovens are available as standalone units or part of a finishing system. Often used in pharmaceutical, medical, food processing or industrial settings, Global Finishing Solutions' Clean Room Environments provide safe, contaminant-free working environments for your operation. GFS’ direct gas-fired air make-up units (AMU) provide an economical source of replacement air to improve indoor air quality, achieve balanced booth pressure and increase production. GFS application engineers can custom design an end-to-end finishing system for your paint finishing operation. We will work with you to integrate products such as washers, paint booths, ovens and flash tunnels, as well as conveyors, robotics and smart controls, to meet your production requirements. A diverse line of powder paint booth configurations for a wide range of powder paint applications — including powder recovery, powder non-recovery, powder collection and high-production powder collection booths. GFS Aluminum Repair Stations are flexible, effective solutions for proper isolation of aluminum repair processes to protect your employees and prevent contamination from compromising the repair. Designed for sanding, grinding and blasting applications, GFS Dust Collection Booths provide a safe, controlled working environment. High-efficiency filtration systems contain dust, protecting employees and the environment. GFS Industrial Washers are used for cleaning and preparing substrates prior to powder and liquid coating, or for removing ash from paint burnoff. We can develop multi-stage washer systems for complete pretreatment of your products or components. GFS Heat Recovery Systems reclaim the heat that escapes with exhausted air from process equipment, such as paint booths, providing measurable energy savings — up to 40-50 percent on average. GFS offers a full-service parts and filters department dedicated to providing top-quality replacement parts sourced from industry-leading suppliers. Most parts are kept in stock at GFS for quick turnaround and fast shipping to virtually any location.